The ISPC has worked hard to develop invasive species removal recommendation guides to assist homeowners and conservation groups in managing invasive species on their properties. The guides are approved by the Nantucket Conservation Commission for use in wetlands after review. Please contact us with comments or questions. General guidelines for invasive species removal, control and disposal. 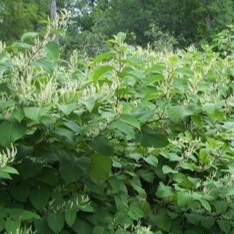 Best practices for the removal of Japanese knotweed on Nantucket. Best practices for the removal of Purple loosestrife on Nantucket.